Ever visited a country which gauges its progress with Gross National Happiness? Travel to Bhutan, also known as the “Switzerland of Asia”, to discover its secrets to happiness. This tiny Himalayan country, which only opened its doors for outsiders in the 1970s, is popular worldwide for its long history of splendid isolation and reputation for being the happiest country in the world. Apart from its enriching spirituality and strong Buddhist beliefs, Bhutan is home to dramatic landscapes, ancient monasteries and dzongs. 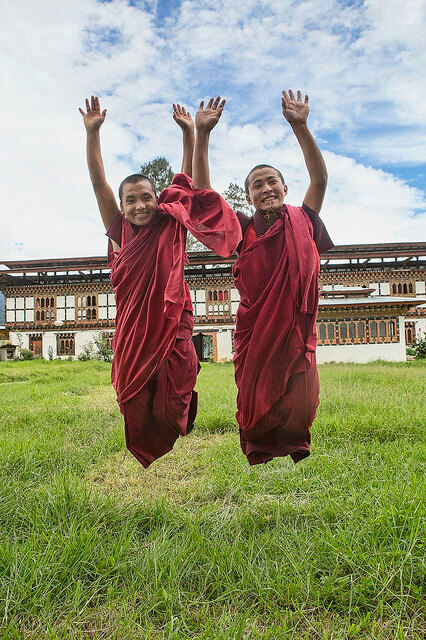 Here’s why Bhutan is the happiness capital of the world. Saving environment is not a part of law or rule, Bhutanese simply believe that conservation of the environment is the way of life. Also, conservation of the environment is one of the pillars of their happiness index. Apart from mathematics and science, children are taught environment protection and basic agriculture techniques. In Bhutan, it is believed that teaching kids to be good people is as important as getting good grades. 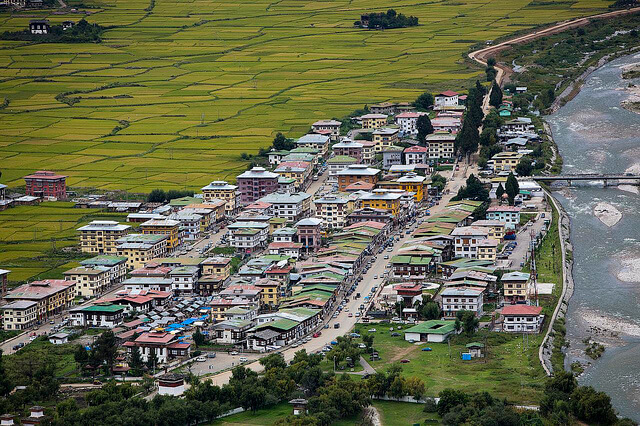 The ‘clean and green’ image of Bhutan adds to its splendid beauty. On your trip to Bhutan, you cannot fail to observe that Bhutanese have undying penchant for their culture and tradition. Even though Bhutan is now open to new ideas and philosophies, preserving culture is at the core of their public policy. They love to wear their graceful and traditional garbs at all times. Be it a manager or a clerk, all Bhutanese wear their traditional outfits at all times. 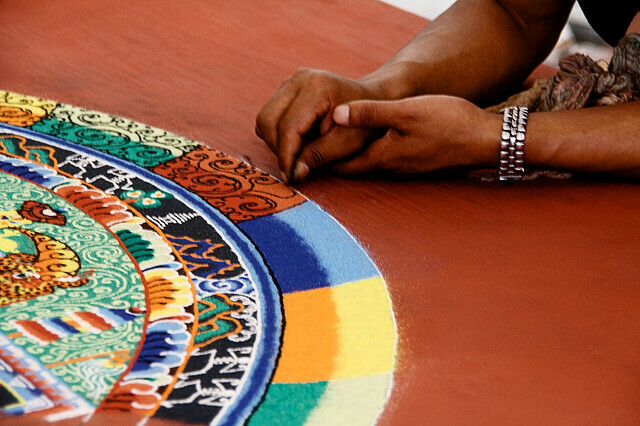 Another exemplary way for Bhutanese to keep their tradition alive is their arts and crafts – that are practiced from time immemorial. Despite being one of the poorest countries in the world, the government of Bhutan opened Choki Traditional Arts School, one of the best places to visit in Thimphu, to educate their kids about traditional artistic crafts; children are more than happy to learn the distinctive art of Bhutan. Did you know Bhutanese think about death at least five times a day? Now this might surprise you if you are not on the spiritual side. Who contemplates death when you can think of much better things? Bhutanese believe that death is a part of life, and they accept this reality quite practically. According to them, thinking about death relieves you from external expectations. It helps you encounter problems and make the big choices in life. Also, some researchers say that when people contemplate death, their mind automatically search for happy thoughts. When Bhutan opened itself for outsiders, the king at that time stated that the country will follow the new development philosophy of gross national happiness. The king believed that people’s happiness does not depend on the nation’s economic possessions. Buddhist values encourage people to focus more on what they have than what they don’t. Perhaps, this is why people are extremely friendly, gentle and hospitable. Bhutanese are peace loving and disciplined people. Their spiritual beliefs make them the epitome of simple living and high thinking. Even though monarchy does not exist in Bhutan any more, the king and queen of the country still reign in the hearts of people. The present king left the royal palace to promote tourism in the country, and lives in a cottage near the palace. The country shunned the new-age materialism, and decided to adhere to its centuries old culture. It is important to understand that Bhutan is not a sleepy country that does not want to wake to the harsh reality of new age problems. But it’s a country of simple people for whom happiness is all that counts. This magnificently beautiful country continues to promote its unique culture ever since the tourism in Bhutan began in 1972, making it one of the most popular holiday destinations in the world. If this post inspires you to embark on Bhutan tour, check out some of the best Bhutan packages here. Ever visited a country which gauges its progress with Gross National Happiness? Travel to Bhutan to discover its secrets to happiness.